This short tutorial will explain about how to create administrator account in windows 8. The reason is simple, with administrator privilege we will have a full access and control of windows. 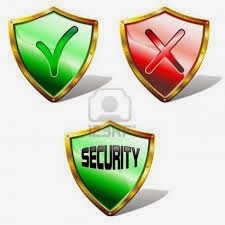 By default, windows disable the administrator account for security reason. On the otherhand, this policy limit certain program execution that require administrator permission. Well, there are many ways to bypass it manually (I found 5 ways my self). But more advantages are available if You have administrator account, though. Open Run command or simply press Start + R (see more windows default shortcut) » type secpol.msc to open Windows Local Security Policy. Doubleclick on Accounts: Administrator Account Status" to show its properties. The radio button is in "disabled" position by default. Now choose "enabled", this will activate the "Administrator Account" » Apply. To see whether the administrator account is available, click start (tile menu), see the top left corner showing your current account. Now click on it, the administrator account will now available. It was not so hard, wasn't it? Congratulation, now You have a real full access and control of your windows 8. You can also add password or picture password to protect your account. Try it!